The moths are strongly attracted to lights. They have dark forewings with white markings and their hind wings are pearly white. 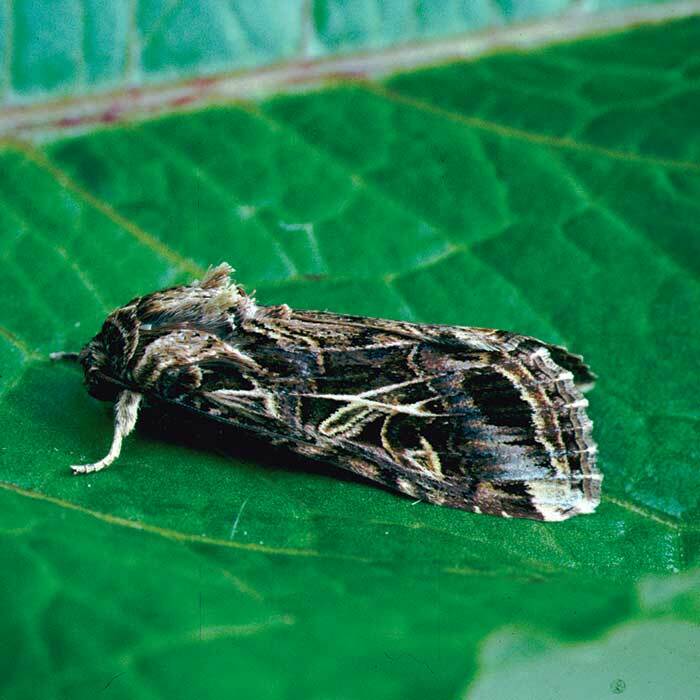 Cosmopolitan army-worm moths have dull yellow-brown to reddish-brown forewings and grey hind wings. 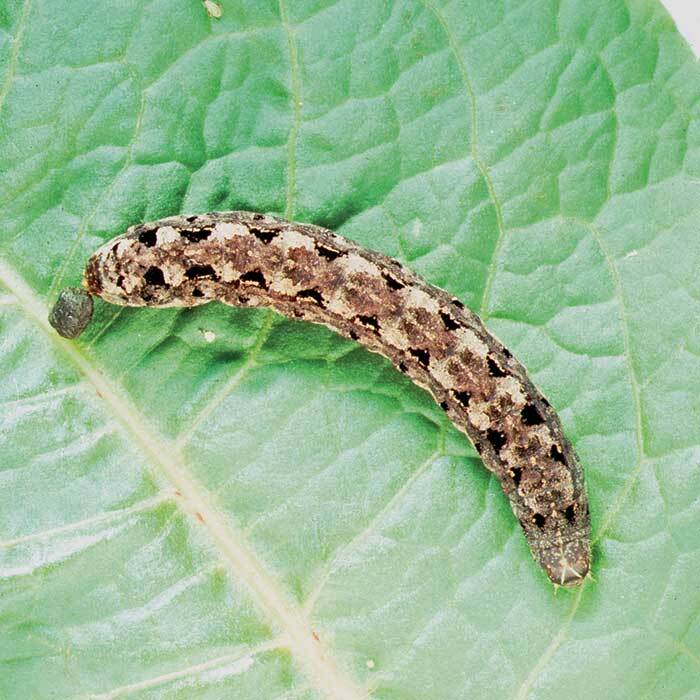 Tropical armyworm overwinter as larvae and sometimes pupae. 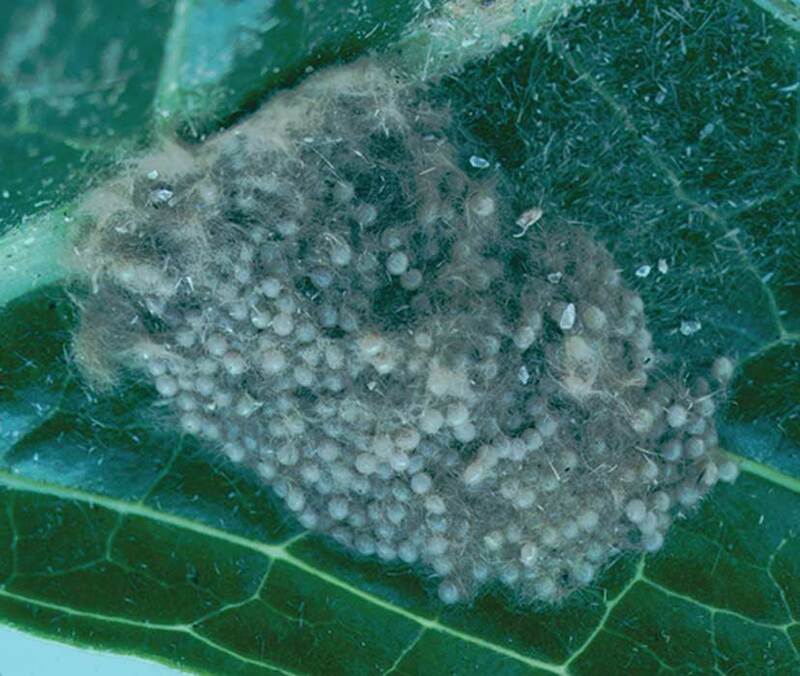 Eggs are laid from late December, soon after the moths emerge. 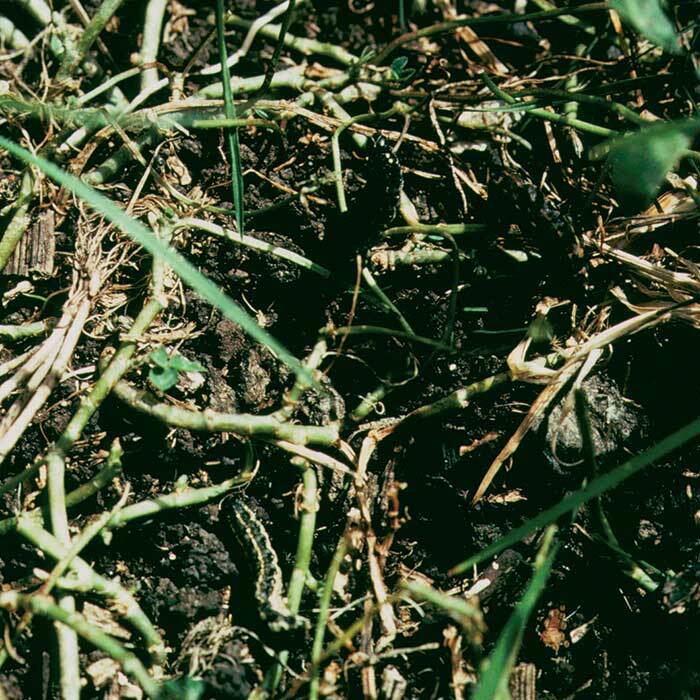 The full grown caterpillars burrow into the soil to pupate. 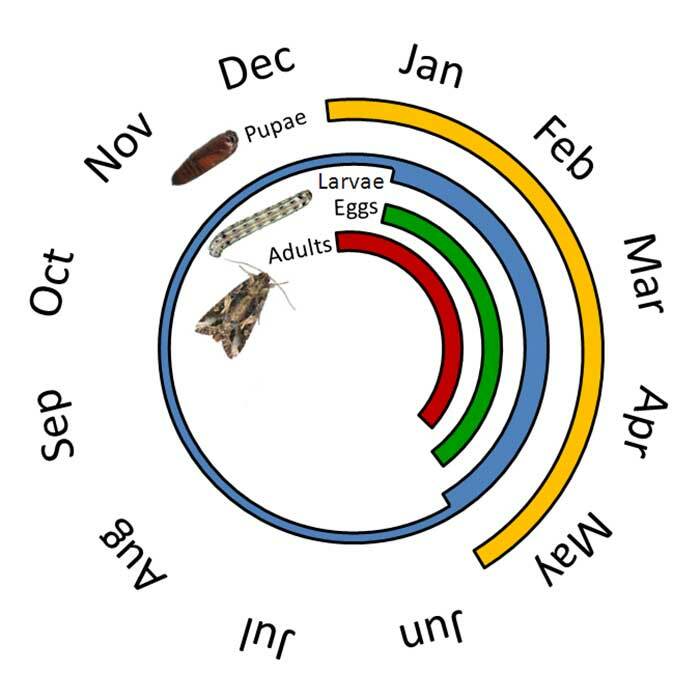 The pupal stage lasts either a few weeks or several months, depending upon time of year. Above average summer and autumn temperatures allowing for additional generations to develop. 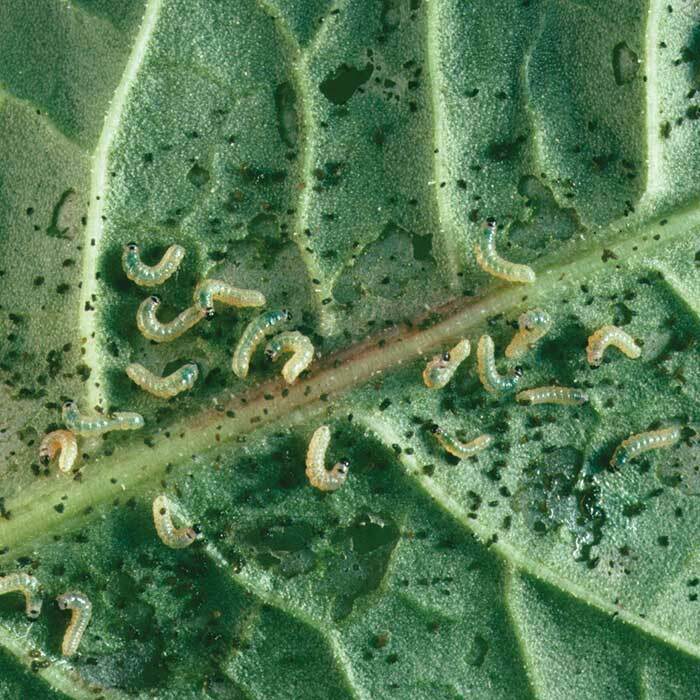 Insecticides, applied at first sign of caterpillars and damage, remain the most effective way to control tropical armyworm. 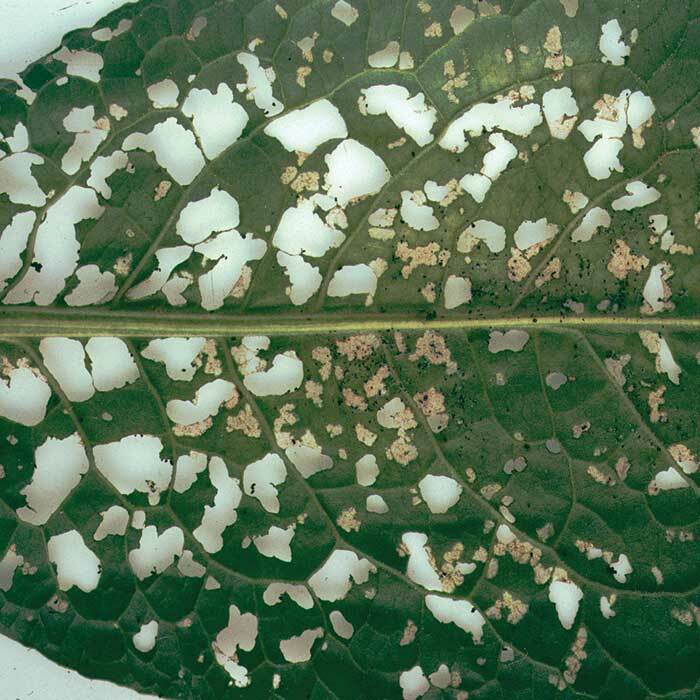 Those currently registered for use include, alpha cypermethrin chlorpyrifos, diazinon, methomyl, methamidophos, and carbaryl. The latter three are currently under review by the EPA. Refer to the NZ Agrichemical manual or your local agrichemical representative for more information on insecticidal control.